During the 23rd Commencement Exercise last March 19, 2016 held in the gymnasium, the IAU Graduating Batch of 2016 or colloquially tagged as batch “Remarkable” (as every graduating batch in IAU gets to choose a name for their batch) marched with their iconic tassel—a symbol of their hard work and perseverance throughout the years as they officially capped off their college journey having obtained their respective degrees. 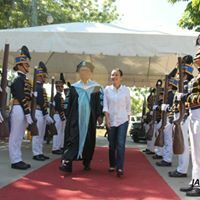 The Guest of Honor for this year’s graduation was no other than the woman of the hour; 2016 Presidential Candidate Senator Grace Sonora Poe. 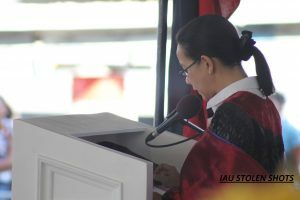 Senator Poe was kind enough to grace the event amid preparations for the heavily anticipated 2nd Presidential Debate that was scheduled just only a day after IAU’s 23rd Commencement Exercise. “Gusto ko po sana ako ang magbigay ng inyong diploma. ‘Yun po talaga sana ang plano. But students, I’m sure you will appreciate this, if you are reviewing overnight or for many nights to be able to pass the exams, I still have to review for our debate tomorrow. 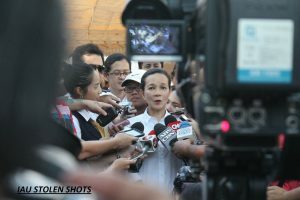 Yan ang problema ‘pagnagka-cram,”quips Poe in her conversationally-laced rhetoric that must have connected her to the audience. “Well first of all, I would like the students to know that part of our platform is really to add as many airports in the country, to be able to make inter connectivity easy, to add more runways not just waiting terminals so that means if we have more airports, more capabilities there will be more jobs for you because more planes will come in and besides, with the ASEAN Economic Integration there’d be open skies meaning other airlines from other ASEAN countries can actually fly in here with less restriction so you can actually also work for those other companies”. After her well-applauded speech, Chief Executive Officer Mr. Harold E. Toring presented to the lady of the hour, together with President and Founder Dr. JovenalB. Toring and Chairman of the Board Mrs. Cecilia E. Toring, a CESSNA replica as token of appreciation. 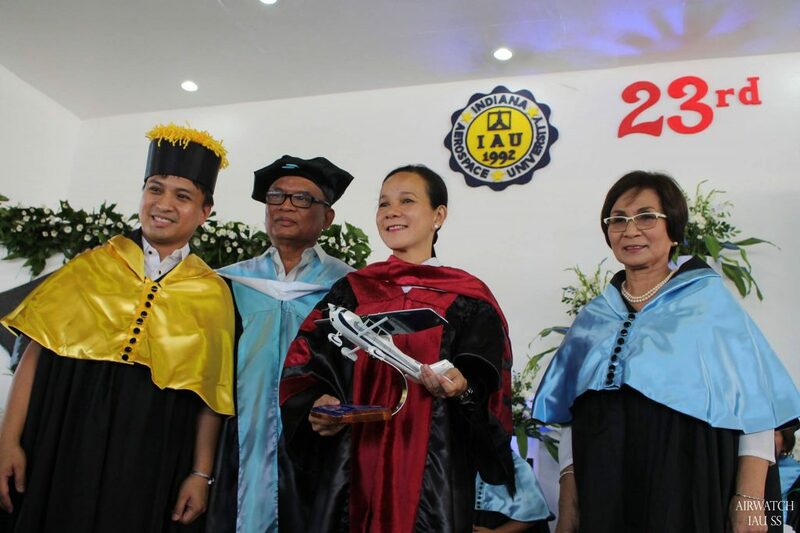 Indeed, Senator Poe was quick to tell the graduating batch to celebrate their victory and never to forget to choose the Philippine flag carrier before anyone or anything else.